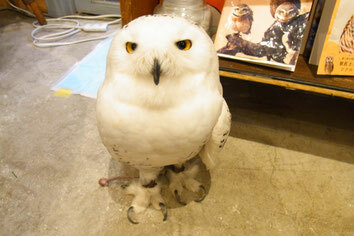 Owls have come to roost in Shibuya! just a 10-minute walk from Shibuya Station. Enjoy a delicious cup of tea or alcoholic beverage in the relaxing company of some adorable, friendly owls. Our cafe is open until 11 p.m., so you can also drop by on your way home from work or shopping. 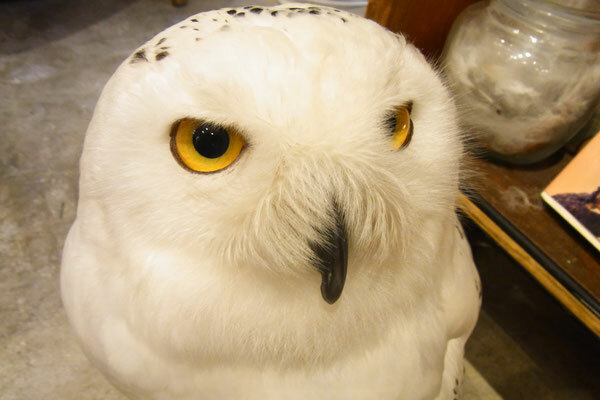 Enjoy learning about how to raise owls, the types of owls, and more! unwind, and enjoy your stay to its fullest. Our cafe has permission to sell alcoholic beverages, so we serve authentic cafe beverages. Have a seat with an adorable owl! 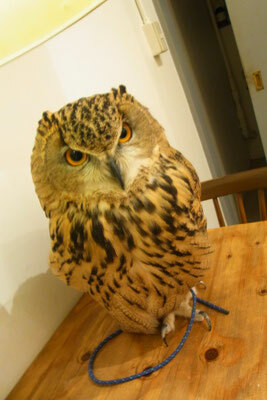 Our owls are friendly and have been raised with humans since birth. Our owls greet you in a carefree, homey atmosphere! 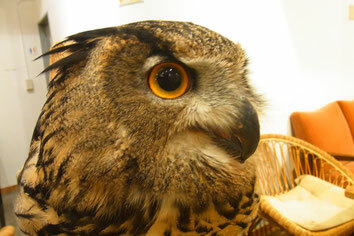 We treat our friends the owls as people-and they don't seem to realize they're owls, either! 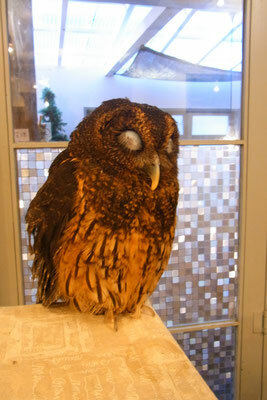 You just might become friends with our adorable owls too in this marvelous place. 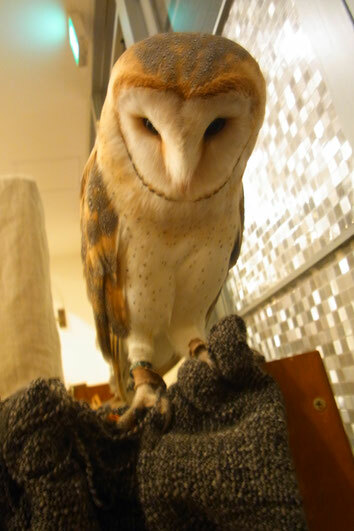 Play with seven adorable, very friendly owls in six varieties in our relaxing cafe, savor a nice, leisurely cup of tea or sake, and enjoy your stay in our homey atmosphere. Snap all the photos you like-with the flash off, of course! 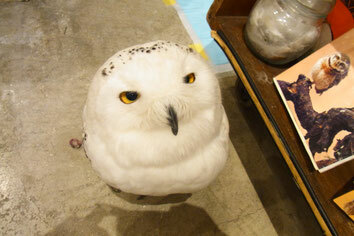 Want to take a photo with one of our owls? No problem! Our staff will provide a thorough explanation of how to handle our owls, so even if it's your first visit to our cafe, you can feel at ease. We also provide careful and friendly discussions of our owls, including the types of owls, their price, how they are raised, and more. 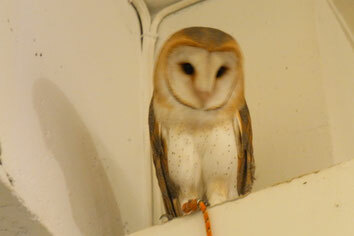 If you're thinking about keeping an owl as a pet in your home, please stop by and have a chat with us first. Have a cup of our carefully-prepared drip coffee or one of our other beverages while you spend a relaxing time with our owls. We also serve alcoholic beverages. Reservations are easy-just use this number! If you don't have a reservation, please aware that there are occasions where we close earlier than usual, since we do need to take the owls' physical condition into consideration, so make a reservation if you can. You can make reservations on the day of your visit, right before you drop by-feel free to contact us! You can make a reservation up to five minutes before you come by. If you're going to be early or late for your reservation by 15 minutes or more, please contact us. If you are over 15 minutes late for your reservation without contacting us, it may be treated as a cancellation, so please be sure to get in touch. for a 500 yen discount on your next hour-long visit! Please show the Facebook follow screen to our staff. Weekdays: 3 p.m. to 11 p.m. Sat., Sun., & hol. : 12 p.m. to 11 p.m.